Observation - Scabiosa columbaria Small scabious - UK and Ireland. Description: A small herbaceous plant, looks like a miniature version of an ornamental garden scabious, with lilac flowers and cut leaves. 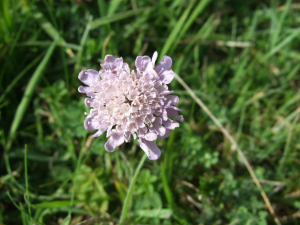 A small herbaceous plant, looks like a miniature version of an ornamental garden scabious, with lilac flowers and cut leaves.